If you care deeply about pixel counts and frame rate—or are simply still on the fence about which console version of Call of Duty: Black Ops to buy—don't miss Digital Foundry's deep technical tear down of the Xbox 360 and PS3 releases. Eurogamer's techy side examines the two console versions of Treyarch's latest Call of Duty game, judging it by resolution, texture quality, frame rate and even which platform spits out a better stereoscopic 3D experience. Digital Foundry's analysis ultimately says "there's little doubt that the Xbox 360 offers the better experience: superior image definition, and a pleasingly smoother run of play." The results likely won't be a surprise to discriminating Call of Duty fans, as the site's analysis of last year's Modern Warfare 2 resulted in a similar conclusion. 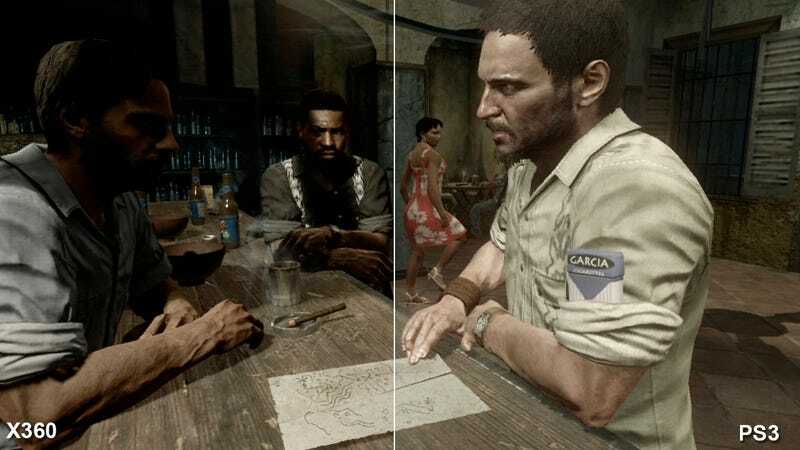 If the only thing preventing you from picking up a copy of Black Ops is the number of vertical lines on the screen or the mip-map quality of a cigarette pack texture, this is required reading before a purchase.